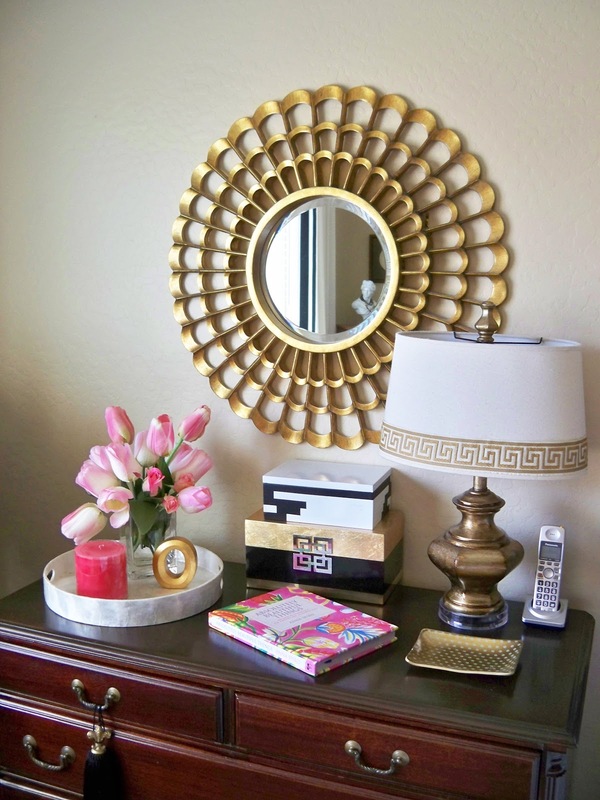 I have been busy looking at different ideas for changing up the Master Bedroom for Summer. I already love the gray Ikea euro pillows that I spruced up with some greek key ribbon, so I wanted something to use with them. I have seen some really pretty Pink and Gray and Pink and Black rooms lately, I loved them and thought that would be fun for a change. I found some really pretty velvet online and ordered it. Well, I was definitely surprised when I opened the package. It is really, really pink, but I totally love it. Somehow my order was mixed up with someone else's and I not only got this really luscious Fuschia Pink Velvet, but they also sent some gorgeous Kelly Green and Emerald Blue velvet. When I contacted them they said to just keep it. So I have this pretty pink and the green and blue to play with too. I dug through my stash for a few pink accessories. 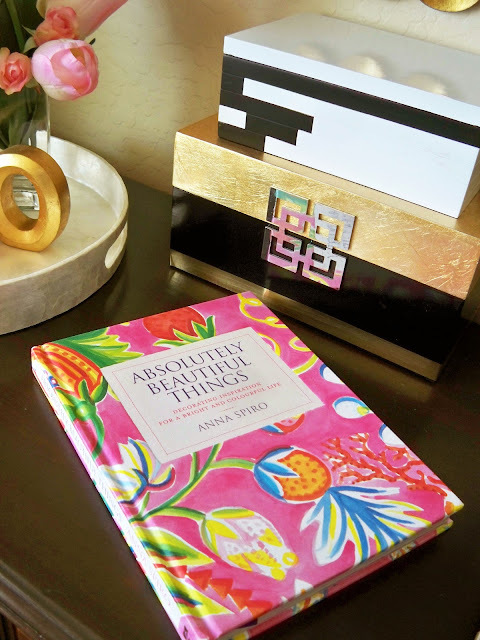 I just received this fabulous decor book as a gift, so it was perfect to use also. I think it turned out to be a really happy accident. This fabric is gorgeous. I think I am loving Hot Pink, how about you? Oh Marty I LOVE it! Let me know how you find the book. I've been on the fence about ordering it. Love your pop of color. Wow that turned into a happy accident for sure! Looks great and pops nicely! That is one of my favorite shades of pink! It looks fabulous! What a happy mistake! The color is gorgeous with the other accessories in your bedroom. What's not to like about hot pink! You know I LOVE the pink! It's so happy and pretty. I'm still looking for a dark emerald green velvet but haven't found the right shade. Lovely indeed Marty, what luck! It looks amazing, Marty! Glamorous, indeed!! Well, you know I HAVE to love pink:) I do love it in my wardrobe but have never used it in my decor. I lean towards oranges, rusts etc. But I do love this, it is such fun for summer! Happy accident! That was definitely a happy mistake! It's so funny, I've been adding pops of hot pink in several areas of my home, too. Love, love, love it....it looks great with orange and turquoise! It looks like you planned it that way! I love it! Love it, Marty ... a happy accident, indeed! 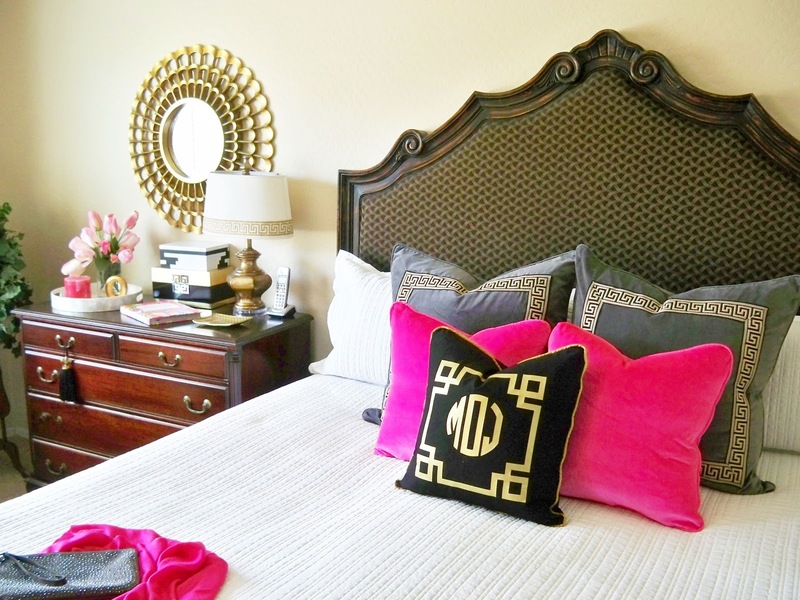 It's such a fun color, especially this time of year ... love the pink accents you used to tie in with it, too! Look forward to seeing the other fabric, too! Strangely, I like it (not a pink person) but this looks great! I agree Marty! 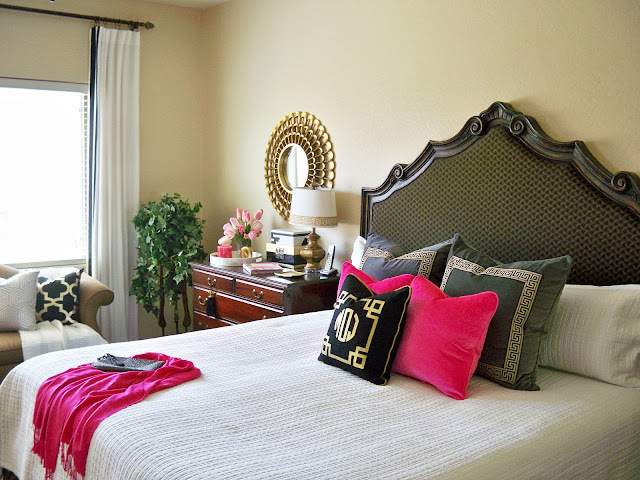 That hot pink iadds so much personality and energy to your room, I love it. That's what I call serendipity, such a happy accident! 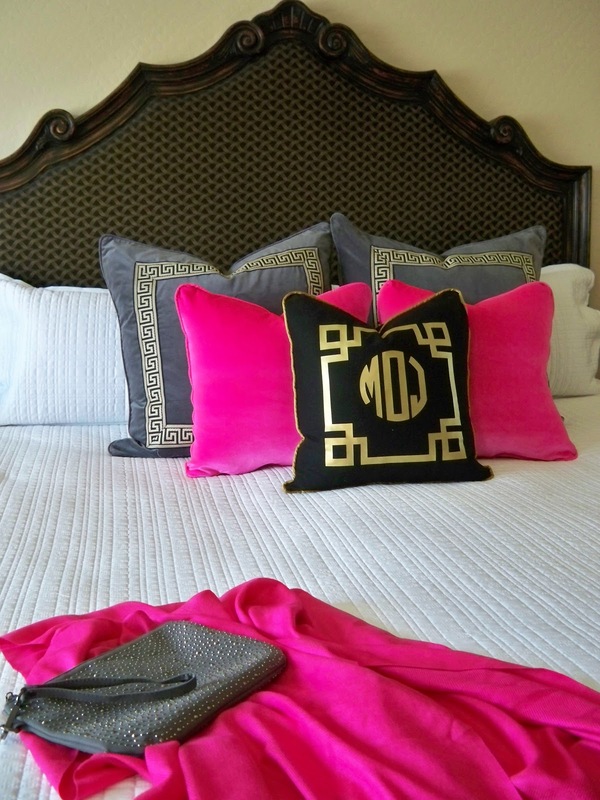 Love the way you've used the hot pink to add pizzazz to your lovely bedroom. Can't go wrong with pink, especially hot pink! Great job on your make over the room looks fabulous!! What a great look!! That is one happy accident, indeed! 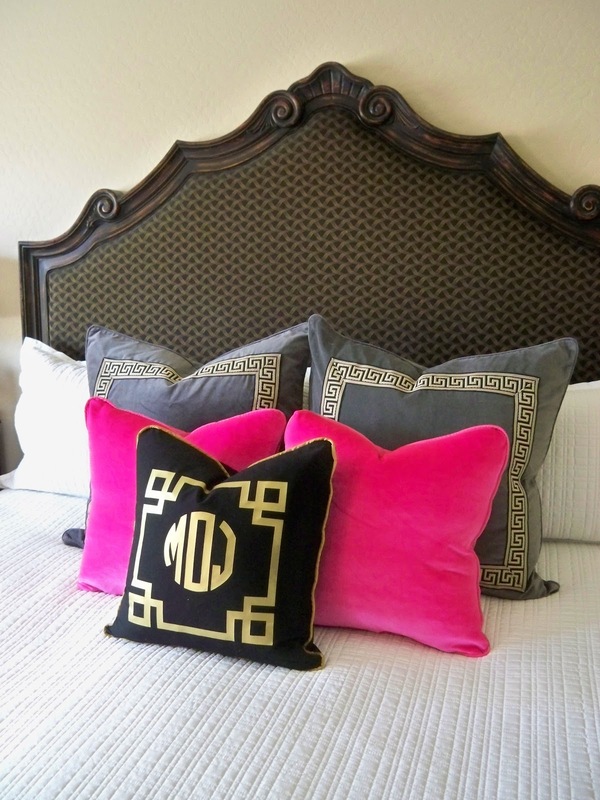 Love the hot pink velvet! I have been leaning towards pink too, and your pink accents are positively gorgeous! Such a pleasure to have you join us at TOHOT. It does look great! I love pink too. That looks great in your room Marty! Love that color!